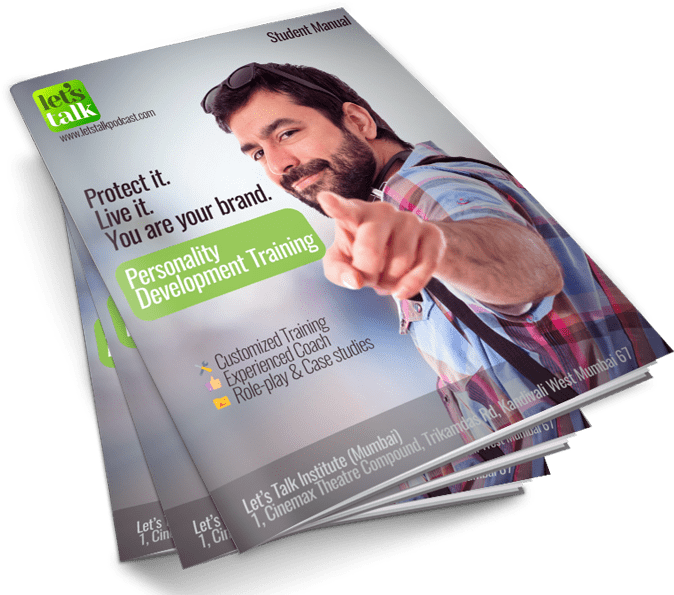 Customised Personality Development coaching from Lets Talk Institutes Personality development classes in Mumbai, Get the best personal development course and get the most of our personality development training. You have all the skills and academic knowledge to succeed in your career, but struggle changes how others see you, very lame and unimpressive. You lack confidence, assertiveness and have poor communication skills and body language. Now the real question is can you really overcome this barrier and develop your personality, yes you can. Our personality development course in Mumbai & Thane is carefully designed keeping in mind the struggle faced by individuals to create a mark in the work and social environment. This personality development training would help you enhance your communication skills, characteristics, strengths and skills as an individual. Watch our Personality development videos to get a glimpse of our training methodology and the quality of the course content. Our personality development course video is published under the brand name ‘Skillopedia’ – The place to learn Skills for the real world. Our Personality development classes for individuals is conducted by trainers with international experience and having years of experience in personality coaching. See them at Skillopedia as they share their knowledge. One size doesn’t fit all. Our personality development classes are highly customized understanding your specific requirement giving you maximum results in the shortest possible time. It could be building confidence, delivering presentations, your persona on social media etc. We help you project your best image. We all learn through experience and examples. Our personality development coaching helps you understand different scenarios faced by individuals, helping you implement the right case-studies to your own situation. A personality development training that is relevant in the real world. We all live by the social media, even if we ignore it, people do judge us by our social profile. In this age of social connectivity, you need to have a reputed social image. Understand the pros and cons of social connectivity and create an image that connects with the social world. Personality Development Coaching material designed by professional trainers. Carefully designed Personality Development coaching material with case-studies, role-play & exercises. With our personality development training, you would get a personality development book with self-assesment sheets to track your performance. Let’s Talk Institute’s Personality development coaching is the best training I have ever attended. I was searching through YouTube for personality development video, where I came across Skillopedia. I found a link in the description that took me to the website for personality development classes Mumbai. I visited the training center at Andheri(west). I started my training immediately, as I had to improve my presentation skills. This personality development classes have reached far beyond my expectations. I came to improve my presentation skills but acquired so many different skill sets, which I wasn’t aware, I lacked. My Personality coach, Rachna was immensely helpful, with just one round of discussion with her, she created an action plan for me and got me started. 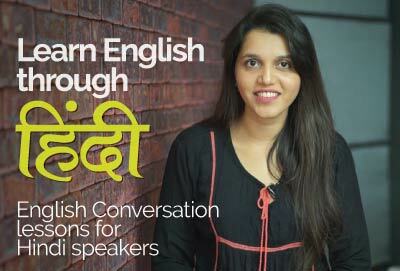 I am extremely thankful to Let’s Talk Institute for helping me gain the confidence I required. I would highly recommend joining this Personality development coaching institute.